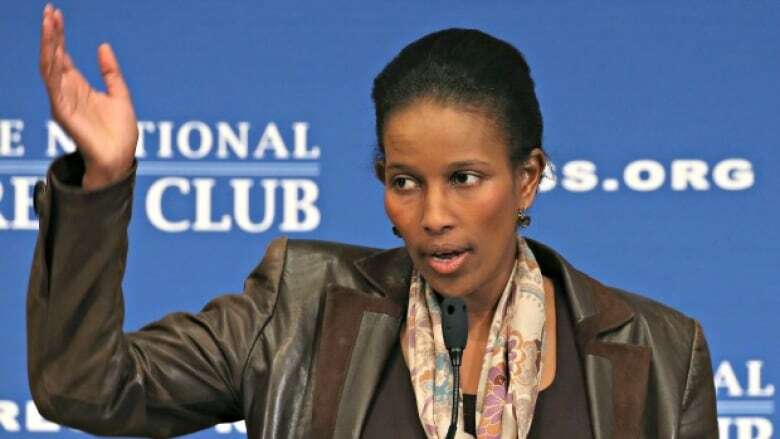 Ayaan Hirsi Ali: In her latest book "Heretic: Why Islam Needs a Reformation Now", Ayaan Hirsi Ali launches a call for drastic reform in Islam. Such reform is needed because, she argues, there is a violent political ideology embedded in Islam. Ayaan HirsiAli lives in the shadow of the sword. She has been showered with invective for speaking her mind about the religion into which she was born. Her best-selling memoir, Infidel, published in 2006, chronicled her journey away from a conservative Muslim upbringing in Somalia. At the age of twenty-two, she fled her country and her family - and a marriage to a man she did not choose. She sought asylum in the Netherlands, where her outspoken criticism of Islam made her the target of Islamist extremists. In 2004, when a Muslim man murdered Dutch filmmaker Theo van Gogh in Amsterdam, he stabbed a letter onto van Gogh's chest with a knife, threatening to come after her next. Ms. Hirsi Ali has since left Holland for the United States, where she is a fellow at Harvard University's John F Kennedy School of Government. She is blunt about the religion she has renounced - believing that - quote - "The Muslim mind today seems to be in the grip of jihad". She is an unwavering critic of the violence and repression she says is sanctioned by the Koran, especially the subjugation of women, honour killings and female genital mutilation - to which she herself was subjected as a child in Somalia. She argues that Islamic extremists are driven by a political ideology that is embedded in Islam and in the Koran. And, she says, acts of terror cannot be divorced from the religious doctrine that inspires them. In the forward to her memoir, the late Christopher Hitchens argues that the world would be a better place, if it were informed by her ethos. However, many liberals in the west are critical of Ms. Hirsi Ali - some have gone so far as to label her ideas "hate speech." Last year, Brandeis University rescinded its offer to confer an honorary degree on Ms. Hirsi Ali, when student groups protested. Her latest book is called, Heretic: Why Islam Needs a Reformation Now.